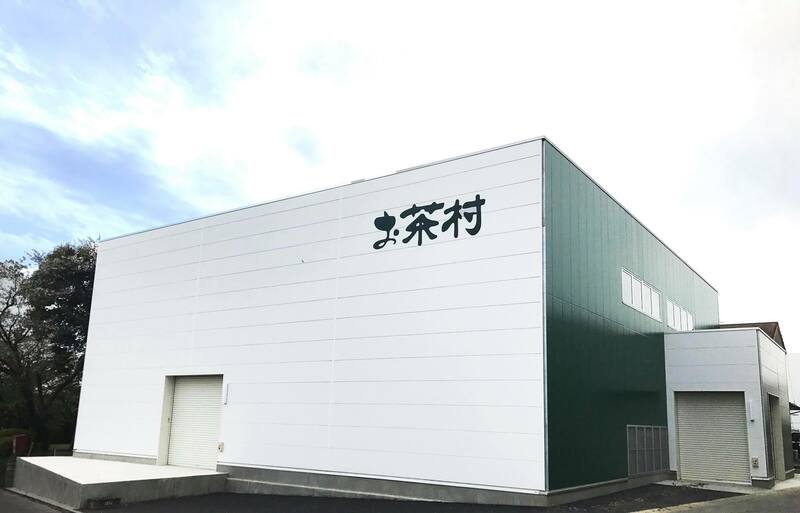 In order to provide high quality and safe products, Oishi Tea Factory not only carries out the spirits of ”Safe, natural and healthy”, and follows the principle of FSSC22000. 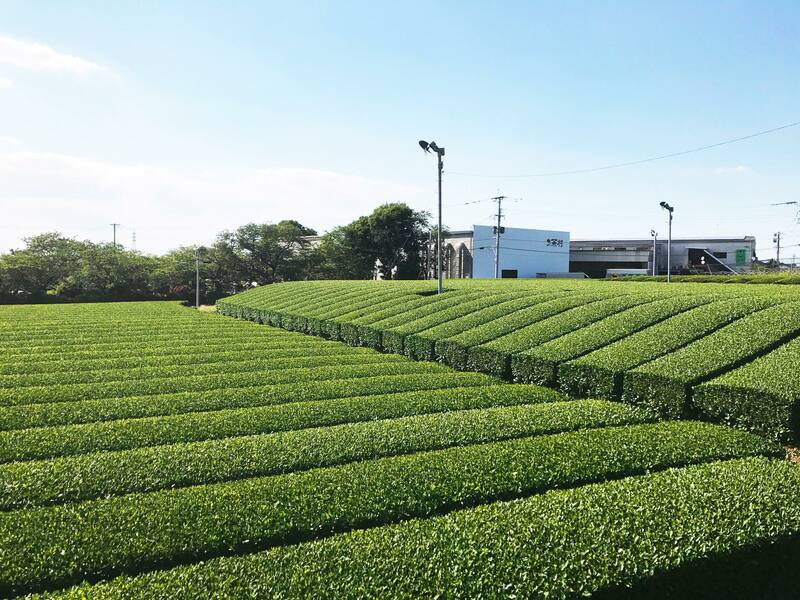 Awarded the certification of FSSC22000, Oishi Tea Factory is the first company to receive this global certification in Fukuoka Prefecture in tea industry. 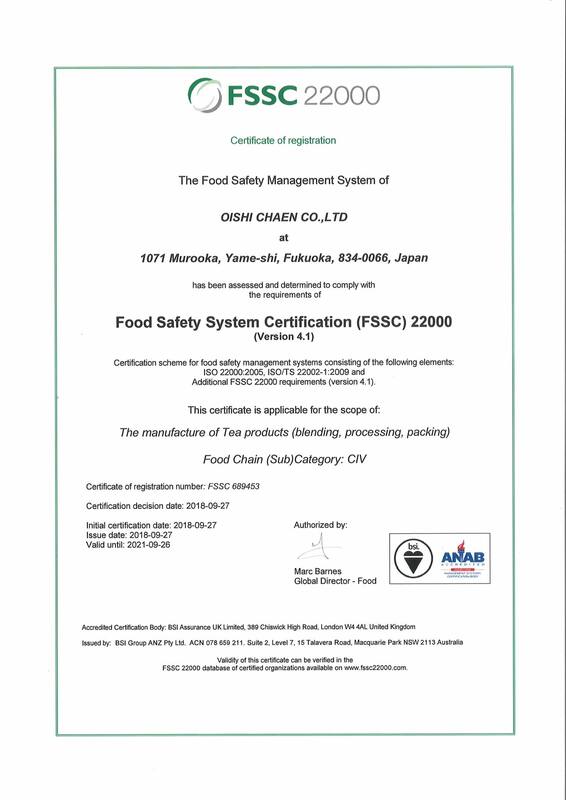 This certification is approved by Global Food Safety Initiative, which is one of the key for entering the market of Europe and America. We will continue to improve our manufacture and management system to meet the needs from all the customers. We will keep on contributing to maintain safe, healthy, natural tea products, and looking forward to hearing from you.